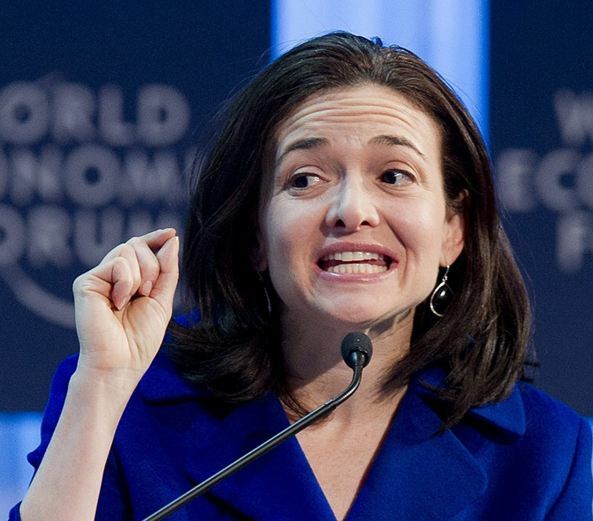 Is Sheryl Sandberg "Leaning In" to Hypocrisy? Despite declaring herself a feminist and penning a best-selling treatise on women succeeding in the workplace, Facebook COO Sheryl Sandberg has reinforced the criticism that she lives in a rarified air, giving advice to women with whom she has little in common and whose struggles she does not understand. As well, that she is content to remain a rare female high-roller in the boys’ club of big business. Goff refers to Sandberg as a multimillionaire “who just earned $90 million in a stock sale shortly before her organization began asking for unpaid help.” Such internships have increasingly become an “American institution” in the last decade. She offers ample evidence that organizations who can well afford to pay their staff are taking advantage of this phenomenon – even auctioning off one such internship at a tony fashion house for five figures. Devastating, of course, is that internships which offer access to high level opportunity and an inner circle of influential people seem now to be the province of trust fund kids. The poor and middle class cannot afford to work for no money and are therefore automatically shut out, continuing to cement an unspoken class system. While I will take LeanIn.Org at their word that this is not a widespread practice, the optics are not good. **[See Update below]** This only supports the view that Sandberg’s prescriptions for women in her book Lean In are more suited to those who grew up in relative privilege. For example, she tells women to ignore the biased and objectifying media messages they receive from a very young age yet admits their devastating effect. Not every girl has a doctor father, the undying support of a well-to-do family and gains entry to, or has the money to pay for, Harvard. That Sandberg earned her business accolades and successes is not in question. Yet, for all her talk of supporting women who “lean in,” her second and more disturbing action is her choice to offer up an editorial defending Larry Summers for the position of Fed Chair. In Politico, she swears that despite his reputation at Harvard, he is not a sexist. This ignores that Summers started the sexist campaign against his main competition for the job, current Fed Vice Chair, Janet Yellen. His whisper that Yellen lacks “gravitas” is a sexist dog whistle if ever there was one. The problem with Larry Summers goes far beyond sexism. It is about suitability for the job and a far too cozy relationship with Wall Street, considering he has profited in the millions from the very people he now insists he can fairly regulate. Asia and the emerging markets likewise worry that he has neither the experience nor the inclination to keep unethical Wall Street bankers in check. Mr. Summers was a mentor to Ms. Sandberg, so I can understand her feeling obligated to stick up for him. Yet in this case, we are talking about his vying for a job that is equal in import and weight to that of the Presidency. One wonders why Sandberg doesn’t want to help Yellen Lean In? Gender be damned, it is widely acknowledged by economists and balking Democratic Senators that Summers is not a good choice for the job, despite President Obama’s protestations to the contrary. Having made a bucket of money on a book touting women succeeding in the workplace, it is shocking that Sandberg would not be the first in line to support Yellen. She is the most qualified for the job and by all accounts, an honest broker. Perhaps Sandberg feels beholden to the men who mentored her success and is willing to keep her seat at the table by reinforcing the status quo rather than practicing what she preaches. I don’t doubt her intentions in writing Lean In were honorable, yet by taking Summers’ part in this debate, Sandberg betrays those intentions and the cause she professes to support. So it does pay to make noise!! Anita Finlay is the author of Dirty Words on Clean Skin, a shocking exposé deconstructing the biased media narrative plaguing women who dare to lead. Available in print and Kindle editions on Amazon. 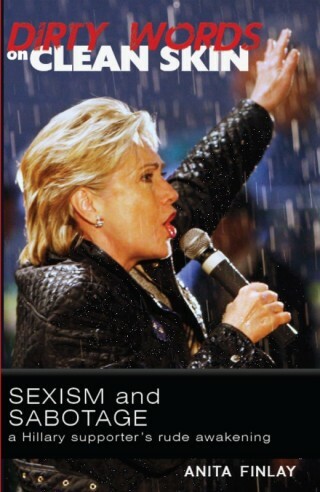 #1 on Women in Politics books for 16 weeks. Like Anita Finlay, Author on Facebook. Follow @AnitaFinlay on Twitter. Very good information may be found on this internet blog site. Between me and my husband we’ve owned a lot more MP3 gamers over the years than I can count, including Sansas, iRivers, iPods (classic & touch), the Ibiza Rhapsody, etc. But, the last few decades I’ve settled down to one line of gamers.